Taylor paid for any printing projects. HAYWARD | Hayward school trustee John Taylor misused school district resources for personal and campaign-related printing projects, according to a report forward to the Alameda County District Attorney’s office on Friday. The findings also suggest Taylor’s repeated misuse of school district’s administrative print shop over at least the past two years was done with the knowledge of Hayward Superintendent Stan “Data” Dobbs, currently on paid administrative leave while the school district investigates several allegations against him. While the total cost of the projects performed for Taylor is unknown, there are indications he was charged pennies on the dollars for printing projects potentially worth thousands of dollars. treasurer for Taylor’s city council campaign. In one instance, the school district’s investigator found Taylor was charged just $9.75 for 30 campaign posters. An estimate for the same work provided by a commercial print shop quoted the project costing $1,080, according the report. There is no evidence that Taylor paid the paltry bill, the investigator found. Evidence of five other print jobs, according to the report, were performed with use of the school district print shop, including a biographical brochure for Taylor’s City Council campaign and promotional literature for Taylor’s own business, the CalVoc Construction Trade Institute. Some of the projects were apparently paid by Taylor, but at “hugely discounted prices,” said the report. Last month, Taylor admitted to using the school district’s print shop for campaign signs and flyers related to his ill-fated run for the Hayward City Council this summer and also paying for the service. In either case, according to school district bylaws and the state’s Election Code, political campaigns are prohibited from using taxpayers’ resources for their efforts, whether they pay for the service or not. Furthermore, the cumulative cost of Taylor’s other printing projects is unclear. A printout of the district print shop’s petty cash account shows five projects since July 2014 attributed to Taylor costing a grand total of $215. It is not known exactly what was the final product or the quantity of copies, but a photo of the biographical piece used by Taylor’s City Council campaign included in the report appears to be potentially worth more than $215 alone. It includes a photo-heavy piece featuring Taylor posing separately with some of the most powerful politicians in Alameda County including, Rep. Eric Swalwell, state Senate candidate Nancy Skinner, former state Senate Majority Leader Ellen Corbett, and State Superintendent of Public Instruction Tom Torlakson. 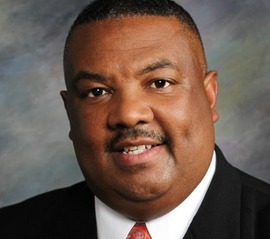 Dobbs also served early on as campaign treasurer for Taylor’s run for the Hayward City Council earlier this year. The report notes Dobbs’ service to the campaign overlapped the period when the biographical piece was printed. Dobbs, though, told the investigator that Taylor included his name on a campaign form without his knowledge, according to the report. The investigation into Taylor’s misuse of school district resources only came about during a separate inquiry into alleged wrongdoings by Dobbs, currently on paid administrative leave since late June. Taylor, meanwhile, is up for re-election to the Hayward school board this November. According to the report, there is evidence that the work done by school district print shop was performed with at least tacit approval from Dobbs. A district employee told the investigator that Taylor’s printing requests began shortly after Dobbs introduced him to the print shop worker in the fall of 2014. Taylor would make the requests in person, said the employee, and provide a thumb drive containing the files he needed printed. On another occasion, Dobbs personally made recommendations for designing a brochure for Taylor. “I was asked by the Superintendent, Mr. Dobbs, to make up a logo using the golden apple image that was used on certificates for teachers,” said the employee. What happens next is uncertain, but last month school board member William McGee publicly raised the possibility of censuring Taylor for his actions. Such an move, if ultimately approved by the school board, would likely render Taylor’s re-election unlikely. Taylor and school board members Annette Walker and Luis Reynoso up for re-election in an at-large field of 10 candidates. Posted in Alameda County District Attorney, campaign signs, Election Code, Hayward, hayward school board, hayward school district, investigation, John Taylor, print shop, Stan Dobbs. Bookmark the permalink. In regard to any suspicions that John Taylor and Data Dobbs may have possibly been engaged in and cooperating in illegal conspiracies, in general the big boys in government, and especially in the Bay area, act like, and work together like, a sleazy mafia, and totally dedicated to ripping off the general public, and no matter how much they pretend they are great liberals and wonderful humanitarians. For further details, check out the various scams regularly engaged in by Alameda County's Public Works Agency. I bet Taylor and Dobbs are still the darlings of the mayor and city council. Now even more so because their criminal shenanigans will detract from city council's own wrong doings. I only hope council's fake candidates don't get elected. Then nothing will change and the schools will still be a mess. I am so upset at the Hayward city council after reading this story that I need to write this. are nothing but completely worthless and weak idiots for supporting that superintendent Dobbs and trustee Taylor. Embarrassing to see all of you at Hayward city council supporting superintendent of Hayward schools Stan Dobbs and Trustee John Taylor. When are you going to start doing the job as the council? 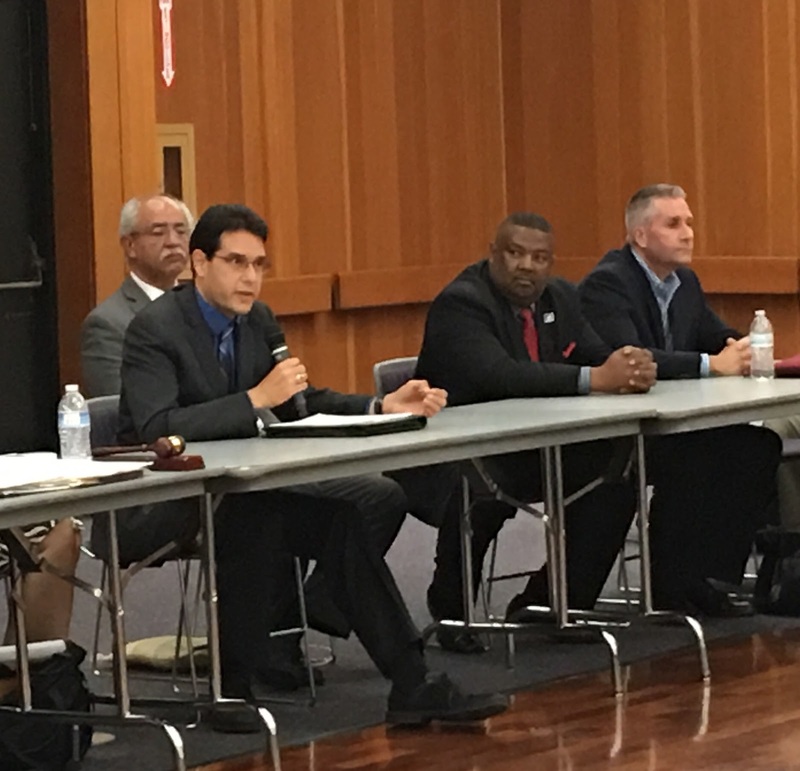 Poor handling on the fire chief Contreras (drunk and violent on the job during a fire), police chief Stuart (we don't know because you have yet to say anything on her), and superintendent Dobbs (inadequate for the job and violent to the board). You people on the Hayward council are a very poor excuse for community leaders by putting up pop cycle candidates to replace a school board. Why did you not just run for the school board as we keep on hearing?. When I saw the news on TV a few days ago on the broken leadership of Hayward I am 100% in agreement that you have a broken house that needs lots of cleaning too. That Reynoso at the school board is exposing all of you for what you really are, a spineless city council that refuses to make the tough calls to balance the budget without raising taxes, and make our city safe. Do you know how many people have been killed not just by the Hayward Police but also murdered on the streets? Hello council…wake up from your avoidance to do your job as a council you were elected for. I am fed up with paying so much in taxes that you continue to not serve our city, and we want to know when are you going to start doing your job on stopping all the crime you promised you were going to reduce? Yes, you need to fix and clean your house first. We need to recall all of you ASAP. Living in Hayward is like living in the Twilight Zone. Corruption is ramped has we ascend into the socialistic/ communist New World Order. Most people don’t vote in this city. The few who do vote are loyal to the corrupt criminal politicians. Hayward needs better leadership. Dr. Walker and Taylor have to go. John Taylor lied again on public record at the last school board meeting. He spoke after reading to the Brown Act about: “They are NOT suppose to speak after public comment.” Wynn Grcich commented on Taylor being investigated for the print shop usage. Taylor made comment even when Grcich said. “ You are violating the Brown Act.” Taylor said, “It was only a few 8” by10” and he paid for them.” He said it was for the children. Get this liar out of office. The law applies to him too. Reynoso has tried to keep the school board on tract and fix the mess the school district is in. Re-elect him. Most of the City Council supports the CLASS slate which does not include Taylor. Dobbs showed up at most of city council's campaign kick-off/fundraisers this year. They are all in bed with each other. CLASS wants to control the school board. Reynoso, Brunner, Taylor, Walker & McGee should scare up some other and form their own political group to replace city council. The school board should start something against the city council. I will help the school board go after the corruption of the council. ho carol if there is in fact so many skeletons in Dr Reynosos closet, why nothing is been exposed. he is been the only one fighting for our kids education and against the corruption not only in HUSD but the city council too, he has my vote everytime he run for any public position. Dr Reynoso should run for mayor !! and get rid of all the idiots we have sitting there now,Zermeño, mendell salinas marquez and the restof them!! and yes HUSD should star a campaing to get rid of the council members and recall everyone there.I will help too!!! to 8:31 pm….. Reynoso does have the skeletons. Many posts were made during the past 12 months that mentioned part of them. This is an opportunity to get out and vote to make a change in how many things are operating throughout Hayward. You may be voting for Reynoso… but I do not share your sentiments on that subject. The 2 board members that left and did not vote on Dobbs termination…. They would be required to abstain as they previously announced their support and it would definitely be a conflict. Their votes would not be a legal vote. Board president Brunner is telling the City to deal with their own house before knocking on HUSD's door. It is reciprocated… Reynoso needs to deal with HUSD and keep his nose out of City business. How can you have a healthy district when those at the head of that district only care about furthering their own agendas? When all is said and done, they could care less about the students. They care even less about the teachers, most of whom are hard-working and dedicated. And the classified staff isn't even on their radar. Continue fighting for your child, Very Concerned Parent. In a school district like HUSD, your child NEEDS your voice. @dzzuy you are completely wrong. I am a teacher and I can tell you that if it was not for Dr. Reynoso I would not have a job today. He has stood up for so many teachers and for classified staff too for 8 years, He has not changed . He is still the same sole voice against corruption. So , I guess the person above is right and I don't know you but you must be corrupt too.